Another one of my husbands’ grandmothers’ recipes, it easily doubles to feed a crowd. You probably have most of what you need to make it in your pantry already. Cubed ham is sauteed with onion and celery to add flavor and soften the vegetables. 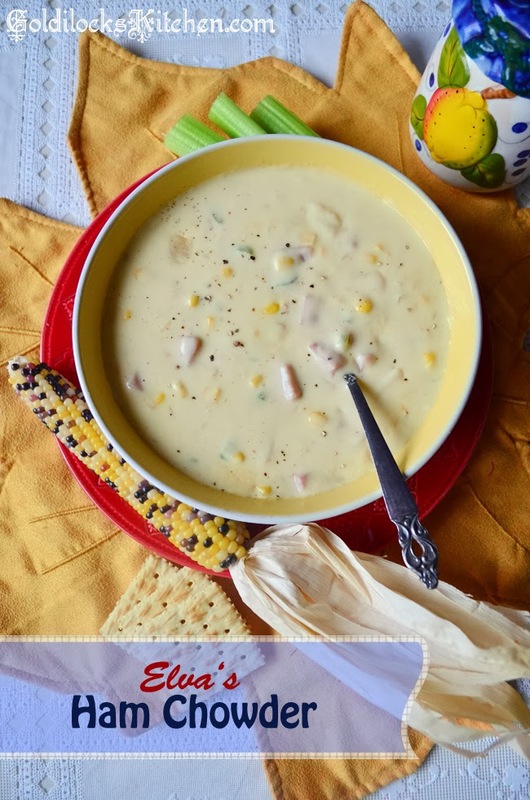 Then you just add canned corn, cream of chicken soup, cream of potato soup, and evaporated milk. One package of cream cheese is melted into the mixture, and you’ve got a thick and hearty soup that satisfies your appetite. If you desire, you can thin the soup a bit with milk. I personally like it thick and hearty. Do not add any salt to this, the ham and soups impart enough salty flavor on their own. If it’s too salty for your liking, adding milk can also help bring the saltiness down a bit. I love adding freshly ground pepper to a hot bowl. 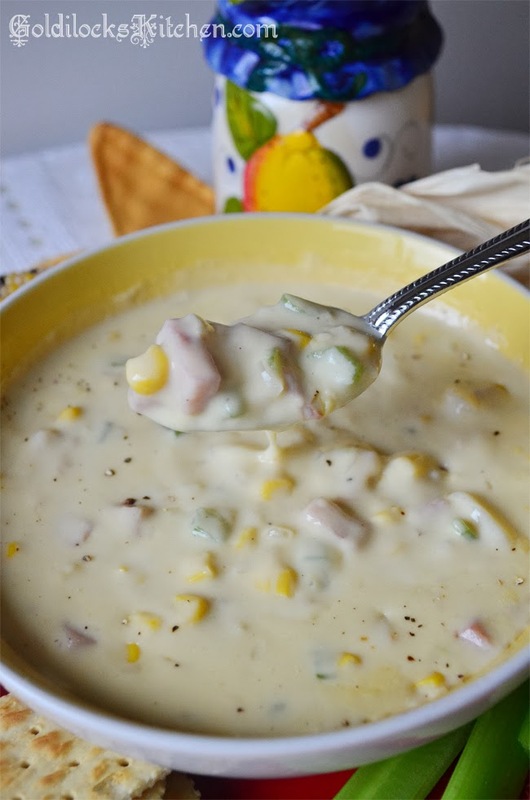 This hearty ham chowder will warm your soul and have you licking the bowl. In a large sauce pan or dutch oven over medium high heat, saute the ham, onion and celery until vegetables are softened, about 5 to 7 minutes. Then add in the cream soups, evaporated milk, cream cheese and corn with water. Stir constantly to mix together and melt the cream cheese. Remove from heat just before boiling. Add a little milk to thin the soup if it's to thick for your liking. Sprinkle with pepper and serve.